Its visibility has a major impact on your home's curb appeal, while its size (usually at least 400 square feet) opens up all kinds of repurposing possibilities. Here are 10 DIY ways to maximize your garage's potential this weekend. 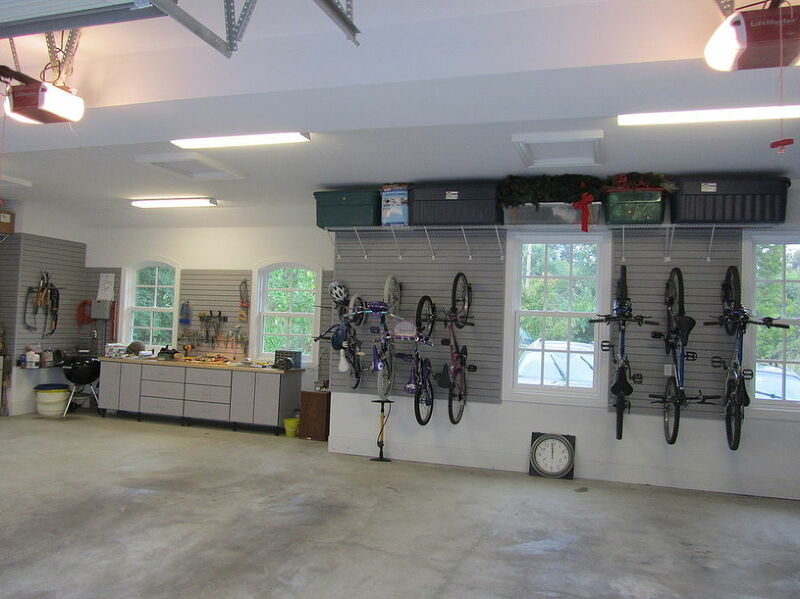 Your garage, so often taken for granted, is actually a very useful chunk of real estate. Its visibility has a major impact on your home's curb appeal, while its size (usually at least 400 square feet) opens up all kinds of repurposing possibilities. Here are 10 DIY ways to maximize your garage's potential this weekend. Add interest to your garage -- not to mention resale value to your home - with classic carriage house style that's quick and easy to do yourself. New hardware for the door will run you about $4, and the "windows" are just painted on. Revamp your sun-ravaged, faded aluminum garage door with a simple-to-apply gel stain. 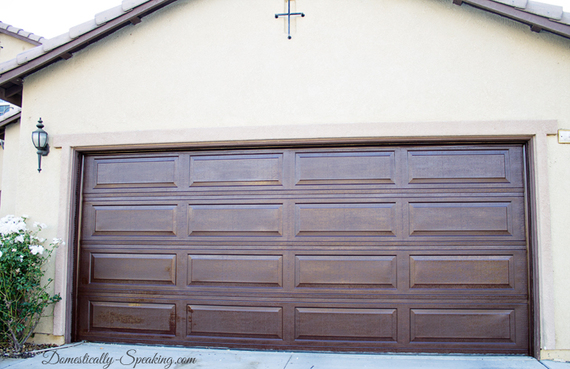 The result: a convincing-looking faux wood finish that will make your garage look better than new! On a sunny summer weekend, who wants to believe that winter is ever coming back? But insulating your garage door now is a pretty hot idea. This project will lower your energy bills all year long ... and it's a heck of a lot easier when there's no snow on the ground. If your garage door rollers are squeaking and squealing, they're due for a replacement, pronto. Follow the simple tutorial to save money and aggravation by taking care of this essential task yourself. Get all your stuff up off the floor but your car! The ultimate garage organization uses every inch of your garage space and even makes room for His-and-Hers workbenches ... without poaching your parking spot. Transform your garage entry from ho-hum to homey -- in a hurry. All you need is a bit of pretty (leftover?) 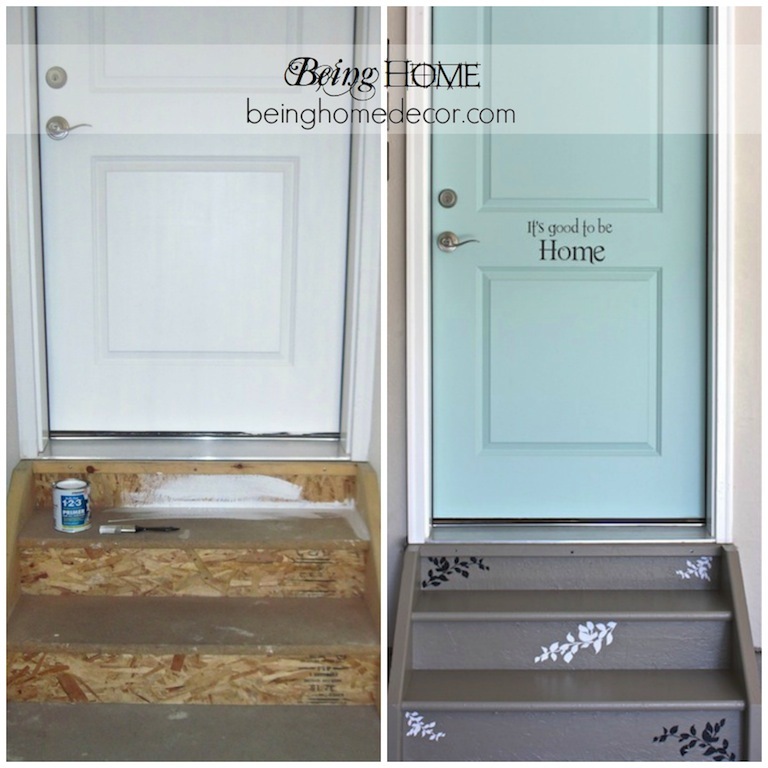 paint and a few special decals to create this welcoming look. 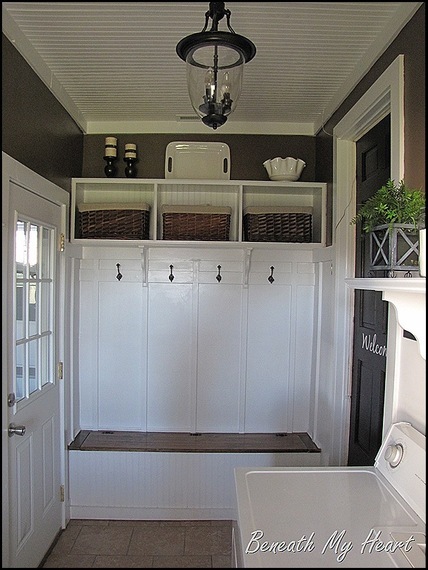 Have you always wanted a mudroom? Dedicate a corner of your garage, with the help of DIY custom shelving and a convenient shoe storage bench. Board and batten walls make for an upscale finishing touch. Look at what you can do by snitching just a slice of garage space! 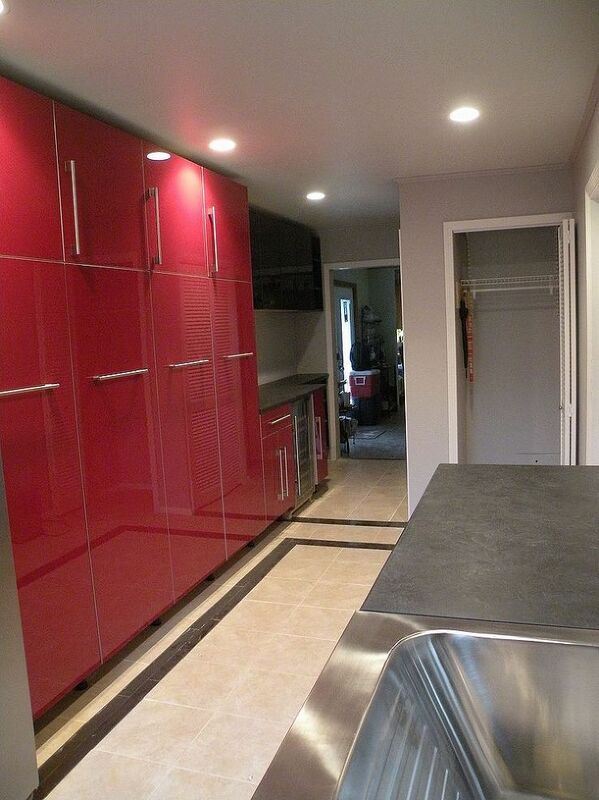 Here's an efficient remodel which includes a laundry, pantry, coat closet, powder room and just what every garage needs: a wine bar. 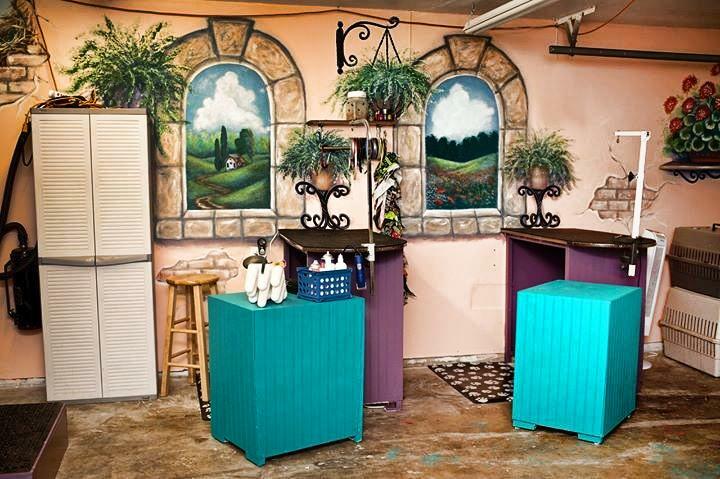 Use your imagination to change a plan-Jane garage into a space that's ... well ... doggone delightful. This pet grooming salon gets a cutely kitschy vibe from hand-painted panels, paired with corrugated tin and inexpensive wood. When is a garage not a garage? When it's converted into a much-needed family room! If you're strapped for living space, use your DIY skills for an elegant yet cozy redo. Feeling inspired? 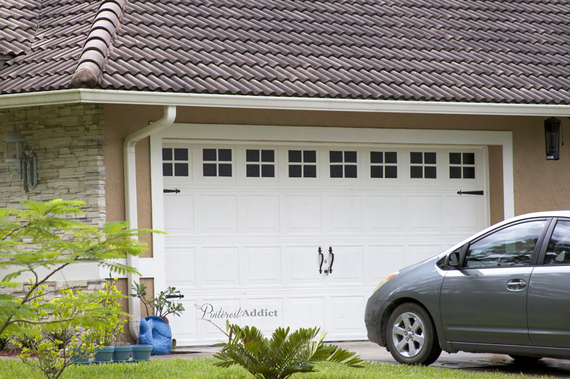 Find more great garage and garage door upgrades you can do DIY via Hometalk.